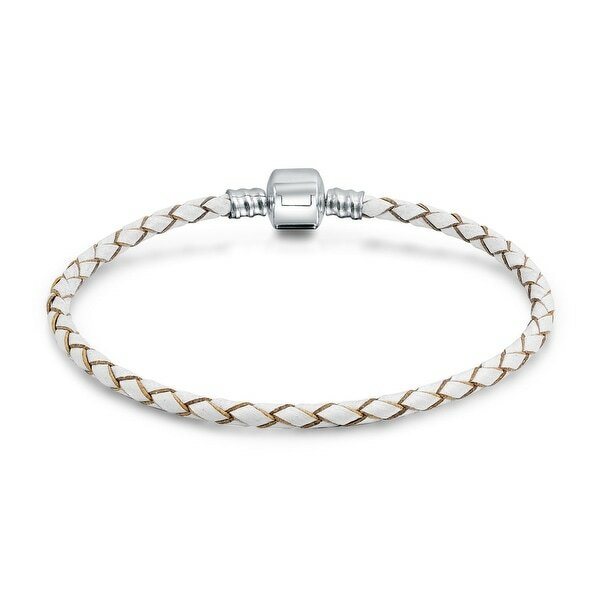 Add our white braided leather bracelet to your jewelry box for when you need a casual, relaxed look. This bracelet features a woven design and secure 925 sterling silver barrel clasp. It fits most bead charms and is a great gift for that laid back yet chic person in your life that loves to accessorize. Great!! I swim and am super active and it is still in great condition !